BEH investigator Gina Lovasi has recently worked with colleagues from Environmental Health Sciences (EHS) on a systematic review of how tree pollen levels vary spatially within cities (available at http://www.isa-arbor.com/store/product.aspx?ProductID=963). This review is part of our larger effort to inform refinement and evaluation of massive urban tree planting efforts currently underway in cities such as NYC and Los Angeles. Seasonal allergies to tree pollen and other outdoor allergens (grasses, ragweed, mold) trigger respiratory symptoms and asthma exacerbations in urban populations. Tree pollen in particular tends to affect people early in mid-spring. 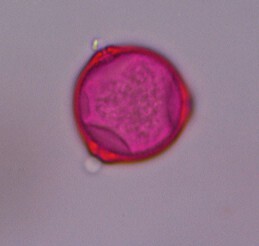 While current pollen levels can readily be compared across broad areas of the US (for example see http://www.weather.com/maps/health), less is known about small scale variation of exposure within a city. Single rooftop monitors tracking daily pollen counts are often used to represent the experience of the entire city. Yet multiple monitoring points would be needed to help us understand how much exposure to tree pollen is driven by a city’s overall tree canopy and regional context versus vegetation in the immediate vicinity. The review was funded by the International Society of Arboriculture as part of its literature review series, and was led by EHS doctoral student Kate Weinberger. Of 13 studies identified, 12 noted differences among the sampling sites. This suggests that a single monitoring site is insufficient to capture the tree pollen levels for an entire city, leading to over- or underestimates for city residents depending on where they are within the city. Most of the studies included in our review monitored tree pollen across 2 to 4 sites, though notable exceptions were gravimetric monitoring studies in North London at 14 sites and in Tokyo at 78 sites. Future directions recommended include multi-year comparisons at a larger number of sites to inform our understanding of how stable the spatial pattern of exposure is from year-to-year. We are currently engaged in analyzing data from the first year of data collected across a pollen monitoring network in New York City (NYC) at 45 sites (http://www.mailman.columbia.edu/academic-departments/centers/niehs/pilot-project-20). These efforts are planned to help us fill in missing pieces in the link between neighborhood tree canopy coverage and allergic sensitization to tree pollen (http://ehp.niehs.nih.gov/1205513/), and to inform the scale of measurement for future health studies. This entry was posted in Urban Forestry. Bookmark the permalink.